SkySite, Inc., an industry-leading software developer for construction professionals and facilities managers, today announced a release of several powerful new features for ProjectLink, the SKYSITE® app for active construction projects. 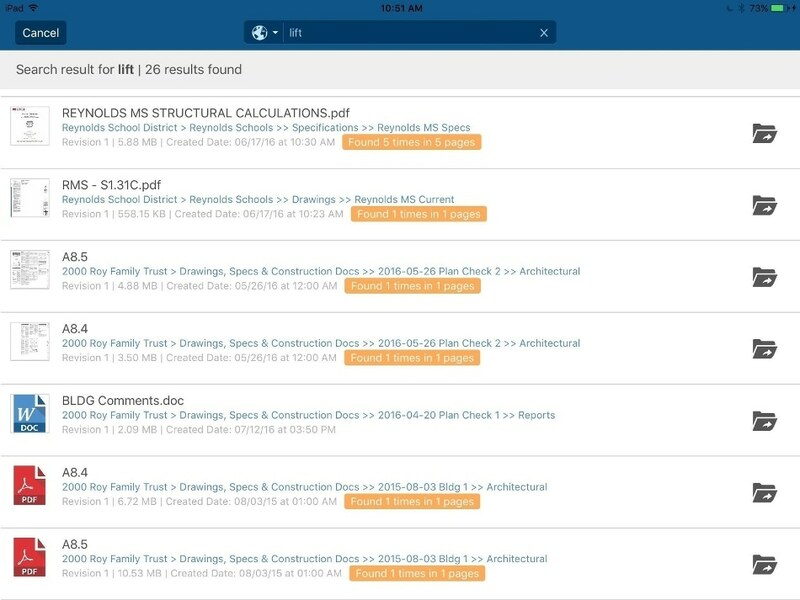 New functionality includes a time-saving approach to auto-hyperlinking, the ability to attach video to a punchlist item, a faster and more powerful viewer, and improved document search. "ProjectLink's new features are helping us keep our people using technology in the field rather than carrying around rolls of drawings," said Troy Gates, Director of Design Technologies at KTGY Architecture + Planning. "I like all of the new features, but auto-hyperlinking and the new viewer are a big step forward. It shows me what links are good and what links aren't, so I can fix the problem before sending someone out in the field. These are productivity issues and the developers of SKYSITE are paying attention to them." Auto-hyperlinking – Optical Character Recognition (OCR) runs in the background as documents are uploaded to SKYSITE, identifying items in one document that refer to information in another document within a drawing set. If the other document is found in the drawing set, the app links the two documents together and marks the item in green; if the link can't be found, or an error is detected, it marks the item in yellow. The feature is designed to identify missing or inaccurate information before it's needed in the field. "We're taking on real-life construction challenges and offering innovative and practical ways to deal with them," said Suri Suriyakumar, CEO of SkySite. "There are a lot of bells and whistles out there, but we're interested in solving real problems, putting the right information in the right hands, and making our customers more efficient in what they do."